Now in my 70’s iam a newbie to Linux,started computing in 2000 but now I just Love Linux Lite as do my two grandchildren.Particularly with it’s ability to find drivers for scanners,printers etc that become obsolete as windows upgrade.Also the New Lite Cleaner keeps the computer clean .Thankyou Linux. every child know that Linux is kernel and GNU/Linux is OS. and the proper way to write Linux is – ‘Linux’ and not ‘linux’. Similarly proper way to write ‘UNIX’ is ‘UNIX’ and not ‘Unix’ or ‘unix’. still we refer to linux os in day to day talk by saying it linux. Yes, Linux is a kernel or a family of kernels. But it is also any operating system that is using a Linux kernel. If it is an official version of kernel we are talking about a real Linux and if it is a modified version, like in Android, we are talking about Linux based OS. TUX! I FOUND THE PENGUIN! Except, for the most part, only geeks actually interface with Linux in almost all the places on your list. The consumer-facing stuff is mostly all tightly controlled. In only a few desktop use cases do non-geeks actually have the opportunity to get their hands dirty with a Linux distro. And they probably don’t want to, any more than they want to fool around with their Windows desktop (assuming either isn’t locked down anyway). 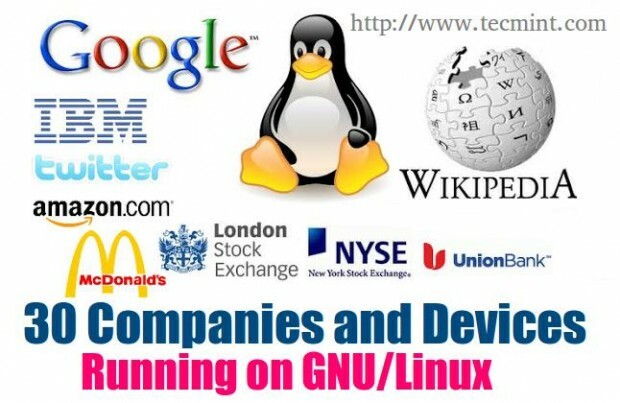 Other than that quibble, this is a great rundown on how GNU/Linux and FOSS are absolutely everywhere these days. Thanks! Still only one percent (+-) of the users really uses Linux for daily work, the rest are servers and Geeks that run those servers. It is as if Microsoft will say that she rules the mobile world because most of the devices eventually synchronizing throw Windows computers. It is bitter truth no doubt, just because of history when Microsoft took a big lead in user friendly OS race and effects are today that people are using Windows, but time doesn’t remain the same, people are getting familiar with Linux and are less and less moody to buy propriety OSes e.g. Mac, Windows, when they can get same or more better OS in free of cost with free applications. For your info, only desktop users are stuck to Windows, those who have Windows over their desktops / laptop machines prefer to run Android [a modified Linux Machine designed to run over mobile devices] or Apple. 1% (+-) people are willing to have Windows Phone other wants Android and Android [Linux] is 60% of todays mobile market. Fact is that it is gonna take time for people to change from Windows to other OSes, but when they will find something better, they’re gonna betray Windows! Add CERN and Fermilab to the list. Both science labs use their own distribution: Scientific Linux. I just wanted to point out that NASA is not the “United Nations space program.” Other than that I like all the great articles. Thanks.